Elegantly updated Two Bedroom End Unit with a garage overlooking the Palmetto course at Myrtlewood. 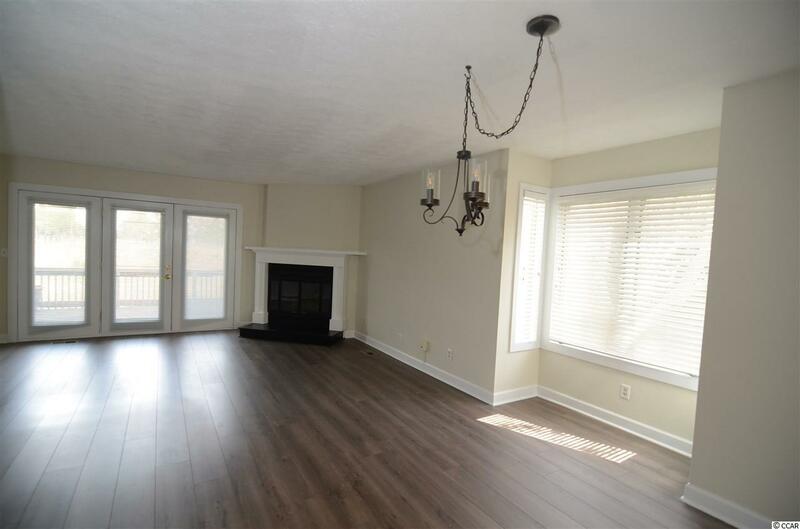 This home has been well maintained and tastefully redecorated. Key upgrades in the last 3 years include new windows & doors, rebuilt decks, 2 HVAC units, exterior paint, interior paint, kitchen cabinets, flooring, and bathrooms.The downstairs features Luxury Vinyl Planks and tasteful colors throughout. 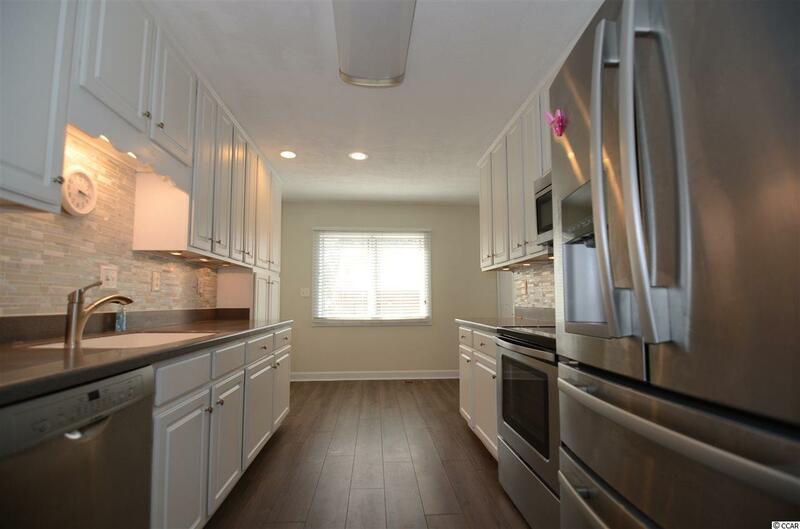 The kitchen has Stainless steel appliances, Corian counter tops and new cabinets with extra storage. This was a former model home that was used to sell the neighborhood when originally developed. The upstairs bedrooms each have a full bath ensuite, and the laundry closet is conveniently located between the bedrooms. All 2.5 bathrooms have new Vanities, Flooring and toilets. There is nothing from the 80's in this home. 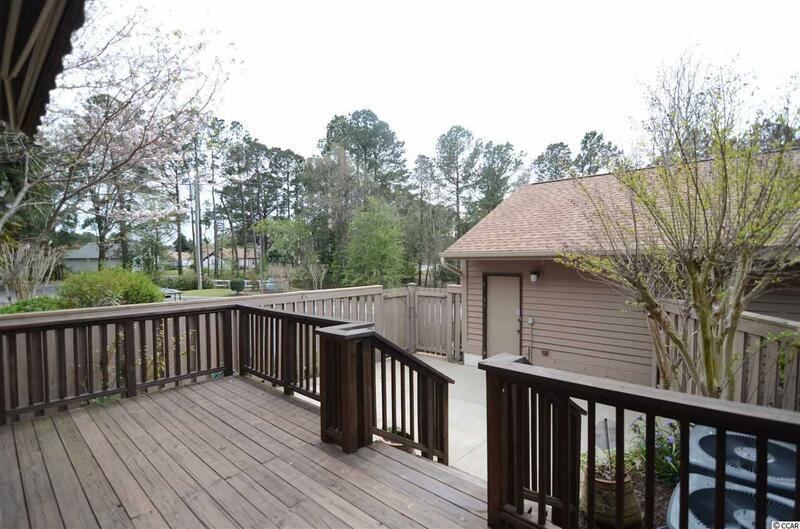 There is a large fenced courtyard between the home and the detached garage that is great for gardening, grilling, a hot tub, or whatever else you love doing outside in privacy. This true town home is uniquely situated to have extra parking right at the Courtyard gate. And the extra large side yard for this home is secluded by Palms, Cherry trees and mature vegetation. Enjoy your days off at the neighborhood pool, or swat some balls on the Tennis Court. 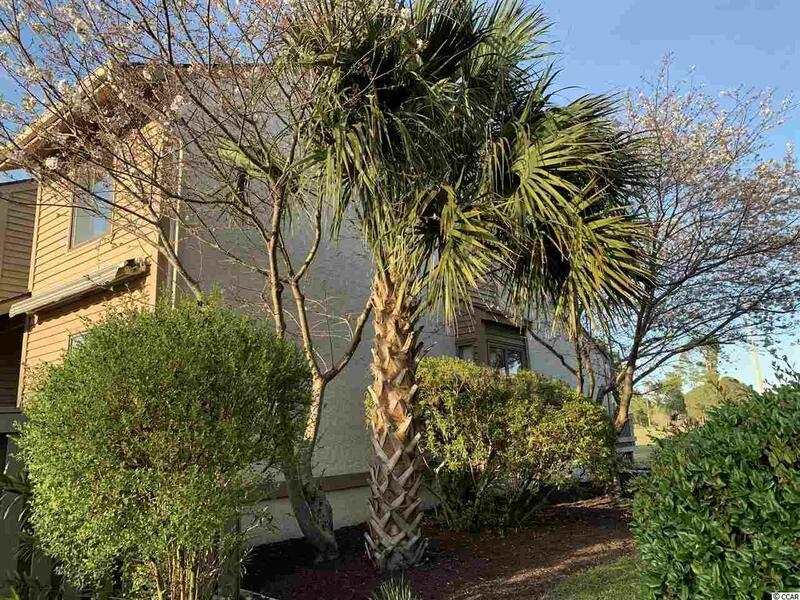 Fairway lakes is secluded away from most of the busyness and noise in the Myrtle Beach area, yet only a few minutes away from all the major attractions. Only 2 miles to the Beach, 1.5 miles to Broadway at the Beach, 3.5 miles to the Hospital, or simply walk over to Myrtlewood golf course to hit some balls.